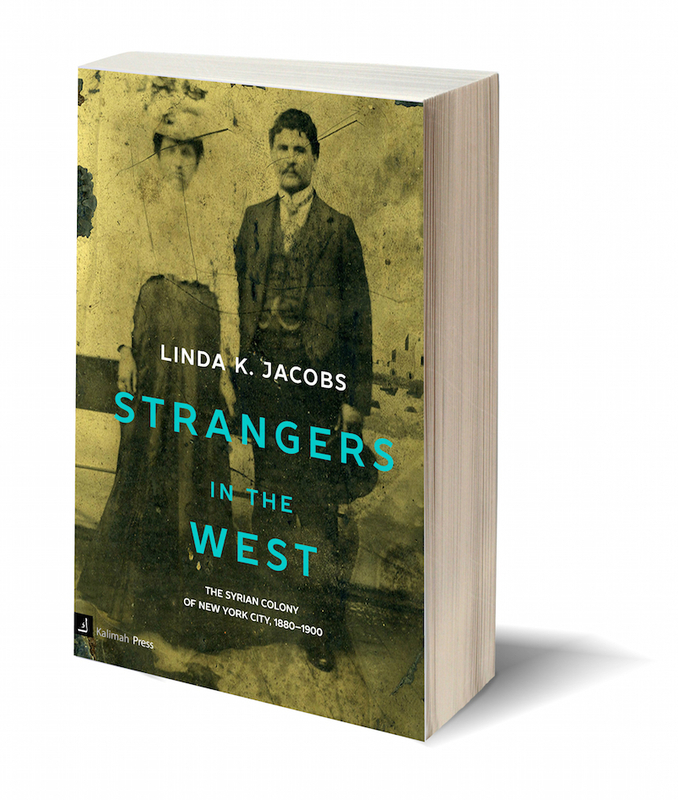 When I was researching my book, Strangers in the West, about the Syrian colony of New York City in the nineteenth century, I was immediately struck by the absence of Syrian Jews in the colony. I would have expected that these new immigrants, whose first language was Arabic, would have been most at home among others who shared the same language and to a certain extent, the same culture. 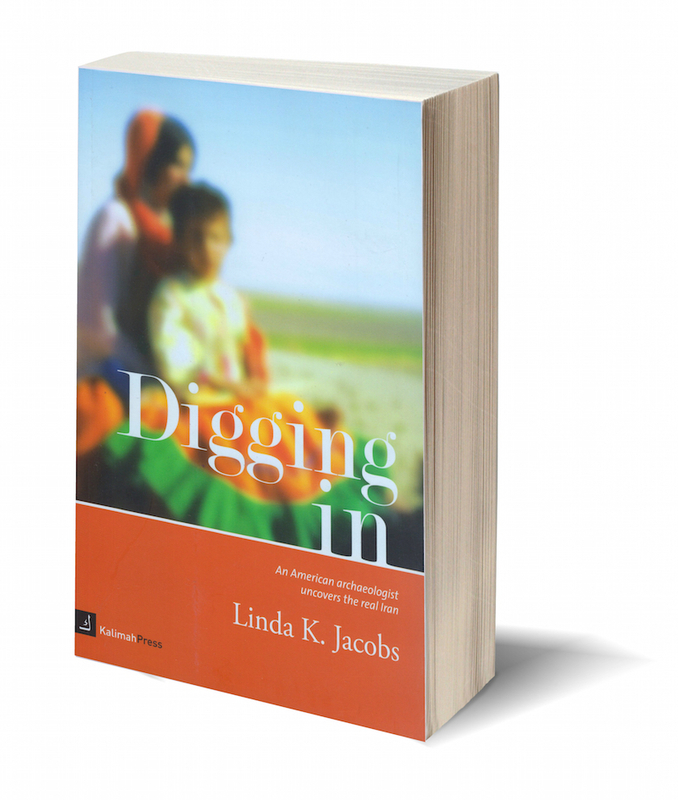 Although that was not the case, there were some special relationships that grew up between certain of the Syrian (Christian) colonists and some Syrian (Jewish) immigrants. It’s not that they intermarried or that they socialized together, but there seemed to be more to their relationship than simply buying and selling. The two Jewish men most intimately connected to the Syrian colony were Ezra Sitt and Jacob Dwek, both from Aleppo, and possibly cousins. 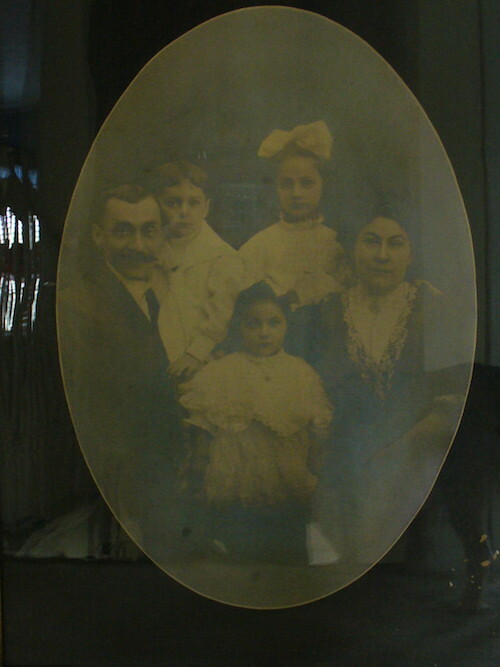 They are credited with being the first Syrian Jews in America. The two men traveled together, arriving in New York from Liverpool on the SS Germanic in July of 1892. Both were called farmers by the ship’s purser (a catch-all designation when no occupation was known), and both were literate (which probably means they weren’t farmers). Sitt was 27, Dwek was 29. By the time they arrived, there was a flourishing Syrian (Christian) colony on Washington Street running north from the Battery; many Syrian merchants already had successful wholesale or importing businesses. If indeed Sitt and Dwek were the first Syrian Jews, the Syrian Christians were virtually the only Arabic speakers in New York at this time. The two men must have felt at ease as they made their way up Washington Street, where the conversations and signs were in Arabic, Syrian restaurants served familiar food, and men were dressed as they were at home. Perhaps the two men came for the Chicago world’s fair, which took place from May to November of 1893. A third Jewish man, Murad J. Shemtob, born in Baghdad but who had lived in Manchester, England for many years did indeed come for the fair: he arrived in the United States in 1893, serving as an interpreter for a Persian prince. After a tour of the American west with his prince, Shemtob settled in New York, made the acquaintance of Dwek and Sitt, and became another quasi member of the Syrian colony. All three quickly became businessmen and were included in a list published in the Arabic newspaper of Syrians who were selling goods at the New York fair of December 1893. The New York fair, which took place in the then-new Grand Central building on Forty-second Street and Lexington Avenue, tried to emulate the success of the Chicago fair, but it proved to be a financial disappointment to the Syrians. Called “Azra el-Sitt” by the Arabic newspaper, Sitt sold oriental goods and antiques like the other Syrian merchants. It’s likely that Dwek was his partner in this enterprise, but he is not named. Salim N. Barson (a Syrian, even though he actually came from Mosul, Iraq) and his partner Murad Shemtob also sold oriental embroideries at the fair. Was Barson also Jewish? Probably not. Unlike the others, he lived in the Syrian colony all his life, stood as godfather at a Melkite baptism ceremony, and witnessed as many Syrian Christian documents as those of Jews. Whatever his religion, he had close ties to these Middle Eastern Jews in the early days of the colony. After the fair closed, Barson and Shemtob opened a factory to make suspenders at 22 Albany Street, but Sitt apparently bought Shemtob out, and he and Barson moved the factory to 60-62 Washington Street (“a business house occupied by Syrian firms”) in 1896. Jacob Dwek meanwhile set up his own factory to make brushes at 85 Washington Street and then became a commission merchant at 80 Greenwich Street. The four men witnessed each others’ naturalization applications. married Gussie Adams in 1900 and followed Sitt to West 114th Street. (One wonders if Barson attended these celebrations.) The Hicks Street house was bought by Syrian Najeeb Diab, the publisher of the Arabic newspaper Mera’at al Gharb. Why did these men set up shop in the Syrian colony (a very long commute from their homes)? It must have been because they employed the Syrian Christians living in the colony, with whom they could communicate. But Dwek and Sitt had even closer connections to the colony than simply their companies’ physical presence there. In 1899, Sophie Daoud Shishim Mokarzel, a Maronite woman then in the process of leaving her second husband Naoum Mokarzel, entrusted Dwek with some jewelry and cash; the details of the arrangement are unclear. In 1900, however, she sued him for the return of her property and won the case. Dwek had apparently already sold the jewelry so was forced to pay what he owed her in cash—$1200—a sizable sum in 1900. In 1904 he became partners with another Maronite member of the colony, Salim Elias from Baskinta (“Salim Elias & Co.”), in wholesaling dry goods. Later he became an importer of oriental goods, traveling frequently to Japan on buying trips. Dwek died of tuberculosis in 1910.
another Melkite from Mosul (“Simon, Barson & Co.”), and continued making suspenders at 60-62 Washington. They eventually converted the factory to skirts and pillow shams and continued as partners until their respective retirements. in Japan and China, while Sitt ran the New York operation. The company closed in 1920, and Sitt worked as a textile merchant, importer, and exporter, employed in the twenties by a company at 98-100 Greenwich Street, called “Royal Mfg. Co.”, which exported cotton goods to South and Central America. By 1932, Sitt and his wife Leah were spending much of their time in Puerto Rico; they returned only in time for Sitt to die in New York in 1940.
prominent Syrian Christians such as Salim Dowaliby, Anton Simon, and Salim Barson as well as Ezra Sitt. Twenty years after its founding, all these charter members were awarded life memberships. In about 1904, Murad Shemtob moved to Haiti and founded Shemtob and Co. in partnership with his nephew Elie Saloman and a Syrian Christian named John Boulos. He came back to the U.S. often and stayed with Sitt when he was in New York. Shemtob died in Port au Prince in 1920.
merchants and importers, and he also took over his brother Abdullah’s cigarette business in 1912 after the latter’s death. He was an esteemed member of the Damascus Lodge of Masons and the Elks. He died in 1930 and is buried at Greenwood Cemetery, Brooklyn, along with many other Syrian Christians. Simon died in 1942.